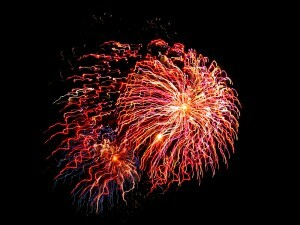 There is something about fireworks displays that can totally mesmerize us. They can be so beautiful yet they last for only a few seconds before they vanish into the night sky. Fireworks also mark special occasions which give them added meaning. They offer photo opportunities for anyone who wants to take pictures of the pretty fireworks, regardless of photography skill. If you have never shot fireworks before in your life, you might find that is easier than you think to capture them in their glory. As always, it’s best to be prepared even before the first of the fireworks bursts into a million points of light high in the sky. Use a tripod – this will certainly come in handy since your exposure settings will need a slow shutter speed to capture the light trails of the fireworks. 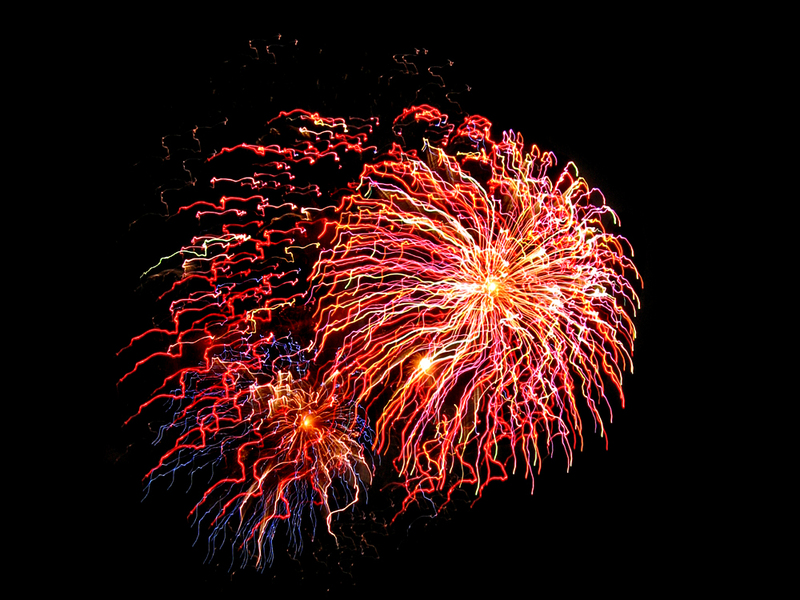 Some fireworks shows can also last for thirty minutes to an hour and holding up a camera can be tiring after a while. A tripod will get rid of chances of camera shake and it will also support the camera so you won’t have to keep holding it. If you don’t have a tripod, you can try to keep the camera as steady as possible by other means such as by leaning against a wall while you’re taking the shot or by placing the camera on a steady and secure surface. Check your camera’s capabilities – find out if your camera can accommodate slow shutter speeds. This should not be an issue for DSLRs and advanced point-and-shoots but regular point-and-shoots may have limited settings. However, most of them have presets such as fireworks mode or low light mode, and you can try using this to see if the fireworks can be captured by your camera. Adjust the exposure settings – you’ll be dealing with low light situations where your subject matter is far away. A slow shutter speed is needed to capture the movement of the fireworks from the moment it explodes to when it dissipates. This will generally take a few seconds. If your camera has a bulb setting, you can use that since you will have total control over when you want the shutter to close. Although, the sky might be dark, fireworks can be really bright and there is a big chance of overexposure if the shutter is left open for too long. My advice is to take a few test shots before settling on the shutter speed setting. As for the aperture, a small aperture such as f/8 will be sufficient. A small aperture means a larger depth of field and it also lessens the amount of light that enters the sensor which can again cause overexposure. The lower the ISO settings the better since there will be less grain and noise. ISO 100 should do the trick in this case. Experiment – the usual fireworks shot is, of course, the fireworks. However, that is not the only thing that can provide spectacular shots. Look at your surroundings and you might discover that there is potential subject matter that can be just as interesting. Take a picture of the crowd, for example, with their features all aglow with fireworks light. Shoot a specific person’s expression as he or she gazes up in wonder. Remove your camera from the tripod and shoot some fireworks. Most likely the light trails will end up squiggly rather than in neat lines but that might just add to the appeal. Check your shooting area – Stake out your shooting area and check to make sure you have an unobstructed view of where the fireworks will generally explode. Take note that fireworks shows are very popular and can amass a large crowd of people. A lot of them might stand or hold up their cameras high over the heads of other people. The bright LCDs of their cameras or the silhouette of their heads can show up in your frame and seriously mess up your shot. Pick a spot away from the crowd, or at least make sure your lens will not be blocked. Frame your shot – Consider how you will frame your shot when shooting fireworks. Choose whether to go with vertical or horizontal (portrait or landscape) framing and this is usually decided by knowing which would better suit the image. Horizontal framing takes notice of the horizon, the landscape or scenery while vertical framing accentuates height. 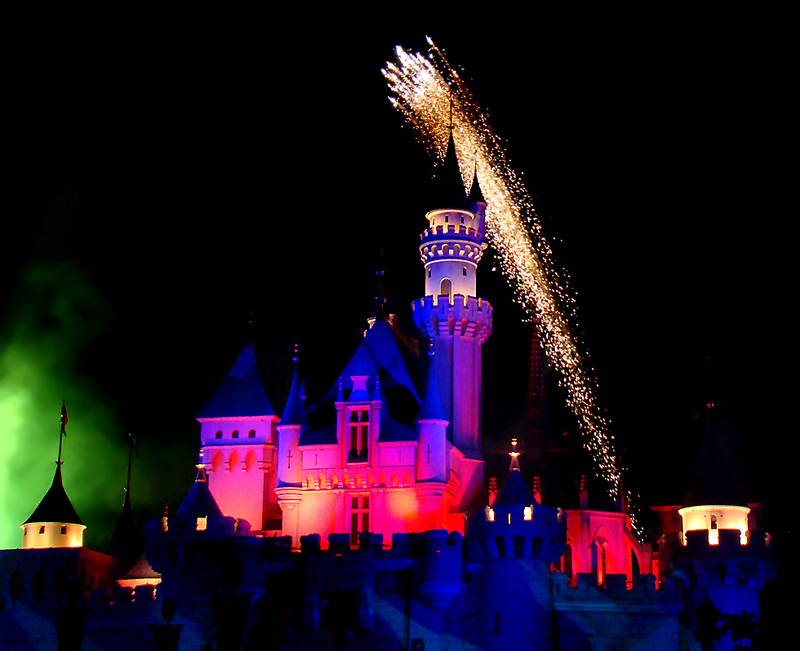 You can shoot the fireworks by themselves or add the surroundings to place them in context. This entry was posted on Wednesday, October 20th, 2010 at 8:17 am	and is filed under Articles, Lighting, Miscellaneous, Photo Inspiration, Photography Genre, Photography Techniques, Stock Photography. You can follow any responses to this entry through the RSS 2.0 feed. You can leave a response, or trackback from your own site.